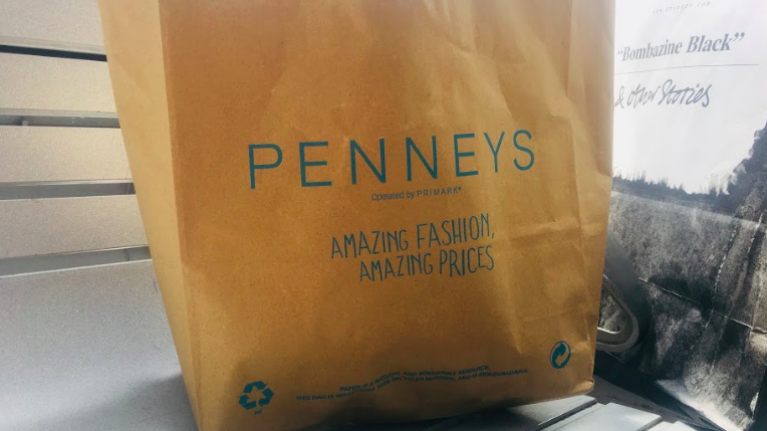 Have you spotted this stunning €20 Penneys dress yet? If so you'll know that it is extremely festive and of course, that means, we absolutely need it. 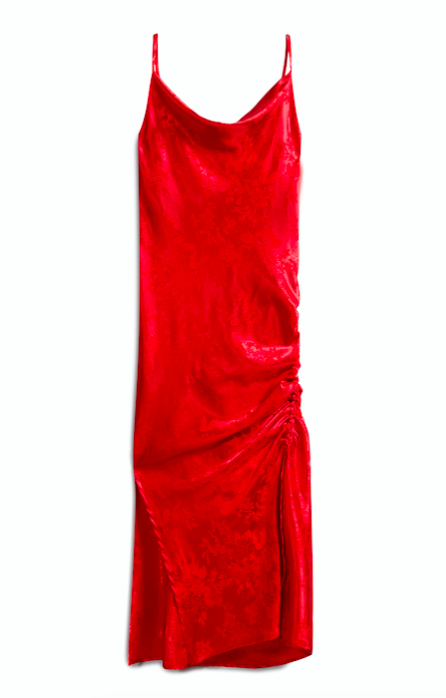 It's red, satin, midi-length with a cowl neck, features a slit and honestly, it is just PERFECT. So perfect that I'm going to be searching every Penneys branch until I get my hands on it, a slight exaggeration perhaps but you get my drift all the same. A bit of a difficult task considering how crazy the shops are going to be this weekend but you know, needs must. It's the ideal Christmas party dress and with the festive season just around the corner, you'll want to start prepping your wardrobe now. I also have to mention the price because it is an absolute steal at €20. To be honest, the picture doesn't do it justice either and after seeing it in person, I can tell you that it's even more gorgeous on. The pattern which you can see if you look closely at the photo below makes it look far more expensive than its budget price tag and the ruched effect adds something a little different too. This one has proved a major hit with influencers too with Niamh Cullen and Michele McGrath both spotted wearing the fab midi-length piece.